Here’s what’s happening in the world of television for Thursday, April 4. All times are Eastern. Tonight’s episode, “The Draglympics,” promises at least two of those. 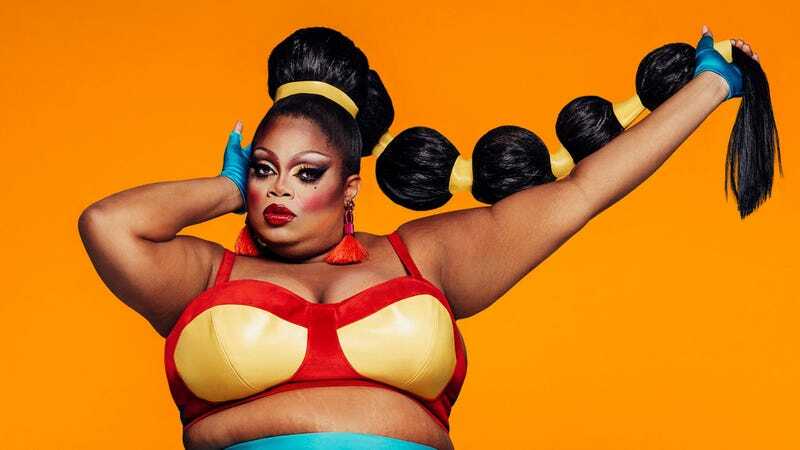 The “athletic” challenge looks like it could be a blast, and the sometimes constructive, sometimes just aggressive, and nearly always unsolicited notes and suggestions Yvie Oddly has been offering her fellow queens seem to be well and truly wearing out anything resembling a welcome. Silky Nutmeg Ganache’s overpowering energy seems to be doing the same. Whether “The Draglympics” delivers on those last two remains to be seen, but Kate Kulzick is optimistic. In The Dark (The CW, 9 p.m.) and Marvel’s Cloak & Dagger (Freeform, 8 p.m. and 9:01 p.m.): It’s a busy TV night, what can we say? We’re interested in The CW’s latest, from Corinne Kingsbury, Michael Showalter, and Ben Stiller, but also feel compelled to check out one of the last Marvel shows standing, the watchable Cloak & Dagger. Keep a lookout for a pre-air review of the former and a Q&A with the showrunner of the latter.